Colin set up Heritable in 2001 after leaving National Australia Group. Whilst with the Bank he carried out a wide range of roles including Head of Strategy and Planning (Clydesdale Bank), Divisional Manager Retail and Head of Third Party Distribution (Clydesdale & Yorkshire Banks). Prior to a career within banking, Colin was a management consultant with Coopers & Lybrand based in the firm’s London offices. Colin has extensive experience of leadership, planning, project management but above all he has well honed people relationship skills. All of which he brings to bear on his dealings with clients such that he is comfortable with complex situations and advising clients who often work under various demanding pressures. 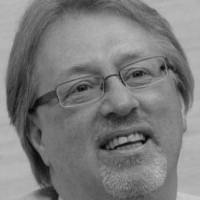 Colin specialises in Wealth Management and Financial Planning including Estate Planning. Catherine joined Heritable in January 2011. She brings with her 20 plus years experience in client service and marketing roles, latterly as Client Services Director at Good Practice Ltd, where she delivered an impressive client support service, resulting in a client retention rate of in excess of 90%. She is passionate about delivering excellent service and upholding the highest standards to ensure long-lasting and mutually beneficial client relationships. 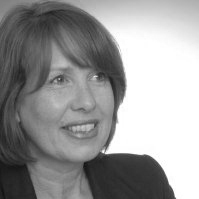 Before joining Good Practice in 2001, Catherine spent three years as Director of Business Training at Edinburgh Chamber of Commerce and before that she worked at Edinburgh’s Telford College where she managed a commercial consultancy unit delivering training to corporate organisations. Catherine has an Honours degree in Psychology from St Andrews University. Cameron joined Heritable in December 2018. Having worked as an Associate Director with Jones Lang Lasalle for 10 years and latterly working as Land and Development Manager with Cruden, Cameron has developed a broad understanding of the property market from the perspective of both the advisor and client. Whilst at Cruden he was responsible for sourcing land and development opportunities across Scotland and Northern England and managing projects, taking the lead in the coordination of external professionals and public sector bodies to ensure the timely delivery of developments. At Jones Lang LaSalle responsibilities included the delivery of large scale, complex development valuation instructions on behalf of a number of high street and bespoke lenders, National House Builders, private clients and public sector bodies. He was also involved in the disposal and acquisition of residential development land, residential buy-to-let portfolios and commercial property. He decided to join the family firm in late 2018 and his experience has given him a solid understanding of what it takes to deliver the best client service. Cameron is currently studying towards his Diploma in Financial Planning.